Used in 183 recipes at an average of 1.562%. 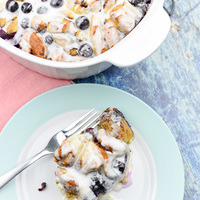 Berry Cinnamon Roll with a hint of lemon. I paired FW Blueberry & CAP Harvest Berry for the berry note in the mix. I really FW Blueberry but it needs a little help to shine through so I threw in some Harvest berry. I paired FW Cinnamon Roll & FA Pandoro to make the pastry. Cinnamon Roll taste like the inside of a cinnamon roll to me & needs a little help in texture. So i put some Pandoro with it. Which taste similar to a Lemon Cake & has some decent body. Italian Cream Is used for the icing on top & FLV Rich cinnamon is used to boost the cinnamon in the FW Cin Roll. I am not the biggest fan of really sweet juices. So feel free to add your favorite sweetener if you don't find it sweet enough. Needs around 7 days to steep. PLEASE RATE & REVIEW IF YOU MIX. 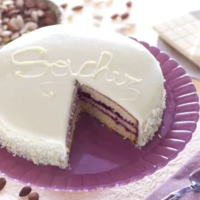 This is my take on a white chocolate variation of the Sachertorte. The cake base is a dry almond fluffy cake. So i used fa almond+fa marzipan for the nut component and nonna's cake + pandoro for the cake. In the middle a layer of blueberry jam and on top the white chocolate. I used a combo of TPA White chocolate and Flv white chocolate. Do not sub any of these white chocolates with FW white chocolate because it would cover all up with that nutty taste in it. This is already good as a Mix&vape but after 3 days the cake base become more solid. 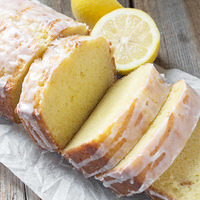 Italian Lemon Cream Cake. Enjoy. Super Sweet from 0.3 to 0.5%. If you're looking for a nice, dense Lemon Pound Cake with silky smooth frosting, look no further. 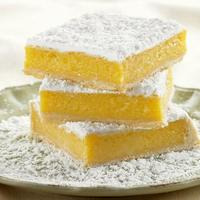 FLV Pound Cake, FA Pandoro, FW Yellow Cake, and FE Lemon create the lemon cake. 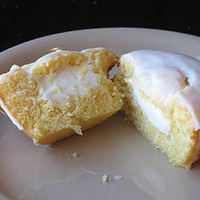 Pound cake is good but lacks a bit of body and depth (in my opinion). Throw in some yellow cake for body and FE Lemon for juicy depth and you're set! 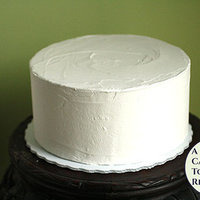 WFSC Buttercream frosting is really delicious, and paired with LA Cream Cheese Icing, it makes a hell of a silky topper to the lemon pound cake. Sweeten to taste. I actually used 2% Sugar Daddy, but 1% TPA Sweetener should net a similar effect. A lemon dessert.Pandoro seems to be FA's best cake concentrate,unlike Nonna's cake which i hate.Saffron adds that special note. This is my remix based on the new Dinner Lady Orange Tart profile. Credit goes to Daz Cole for inspiration on the pastry Tart base from his excellent lemon Tart remix. I find the mix of FA Pandoro, INA biscuit, Cap graham cracker and AP gets as close as I can get to the pastry base used in the original liquids. 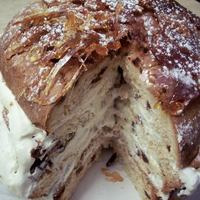 Pandoro is essential to this recipe but unfortunately is difficult to get hold of in the UK so I have had to have it shipped from ecig express in the US or from FA in Italy. INA biscuit, Cap Graham Cracker and FA Pandoro combine to create the pastry base, I definitely taste INA biscuit in the original and when mixed with the wafer note in the graham cracker and the light buttery cake flavour from Pandoro, I feel this creates an authentic pastry which sits nicely as the base in this recipe. I originally used this base without AP and after tasting it in the original liquid I was surprised at what a difference this made when added to the mix. It really helps to bring out the grainy notes in the pastry and helps to keep the layers separate. 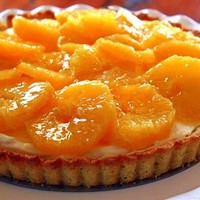 Tpa bavarian Cream and FA meringue are used to help bring the mix together and to also add to the creamy orange I get from the original liquid. I think Tpa orange cream is used in the original as I get more of a creamy orange than a straight up Tart citrus flavour . At 3.5% it is prominent in the recipe however I have found it needs a lift to help keep the orange as the top note. FA Royal Orange Juice has been added to help with this. I don't think this is in the original as this flavour has only recently been released but I like the sweet juicy orange which this flavour brings. I like Cap super sweet at 0.6% for my recipes but this can be adapted to suit your taste. Hope you guys enjoy and any feedback would be welcome if you mix this up. This is a remix based on the new Dinner Lady Blackberry Crumble. I made this based on the profile before the commercial liquid was released so it isn't exactly as the original. However after getting a bottle of the original I think I prefer this mix. The Pandoro and golden butter give the light cake / buttery element of the Crumble with the sugar cookie and graham cracker giving the biscuit notes. Cereal 27 really helps to create the authentic Crumble flavour and also helps to meld the buttery and biscuit elements together. 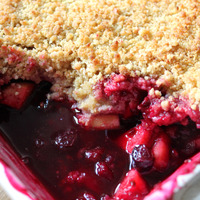 TPA - blackberry works well on top of the Crumble base and give a vibrant jammy type of blackberry which sits nicely as the top note in this recipe. I find tpa's blackberry as three best choice for this recipe even though I don't think Dinner Lady are using it in their recipe. Fa blackcurrant is used just to add further jam like feel and texture to bend the blackberry into a cooked blackberry. AP is not essential as there is a fair bit in the cereal 27 but this helps the texture of the mix and to help keep the layers separate. 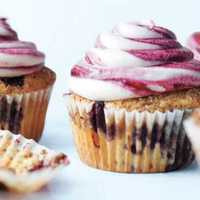 Vanilla Flavored Cupcake With Berries Jam. It is good right after you mix it.